Having eaten nearly every kind of bird possible in Shanghai despite the new bird flu, then a half dozen eggs with kaya toast, I saved the best for last: Singapore&apos;s national dish, Hainanese chicken rice. Hainanese chicken rice is a chicken stuffed with garlic, ginger, and scallions then poached whole. The bird is served chopped on the bone with savory white rice. The grains are first sauteed with garlic then cooked in the chicken&apos;s shimmering gold liquid. In Chicagoland you can find similar chicken, listed on menus as Princess Chicken served with ginger scallion oil, or make chicken rice yourself. 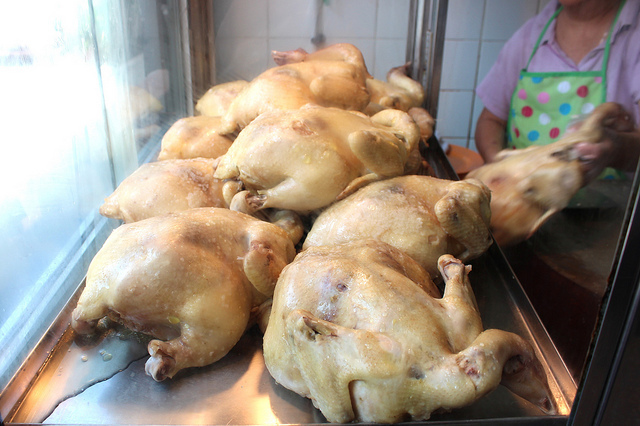 Yet Con restaurant, open since 1940, is Singapore&apos;s last remaining restaurant to prepare the chicken in the old Hainanese style (resulting in a bird some locals find too intense). But even Yet Con&apos;s recipe has had to change slightly. 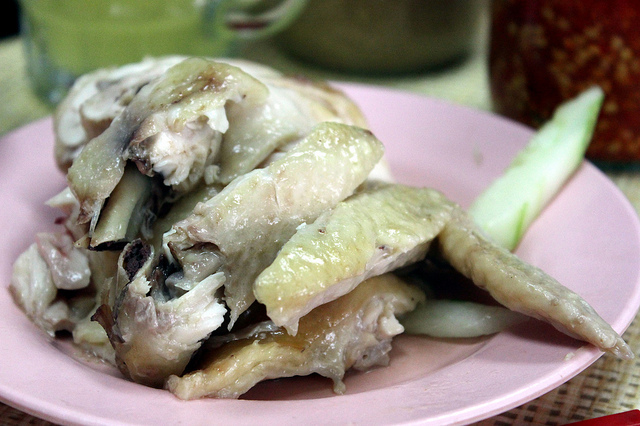 Purists say the chicken in chicken rice should be cooked only until the red has barely set in the bones. Since the last bout of bird flu, that&apos;s changed. 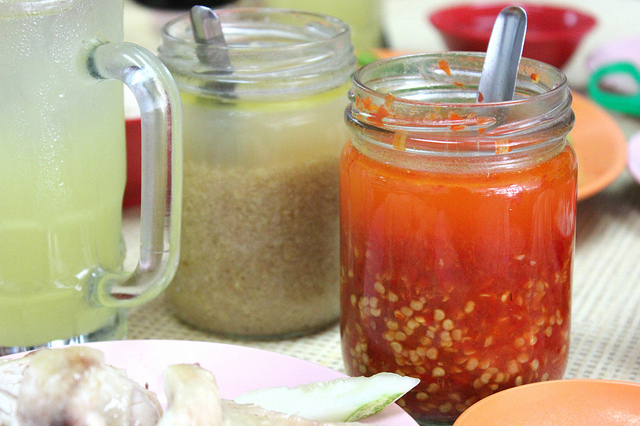 The pale pairing is a deceptively flavorful dish even without the ginger and "chilli" sauces. 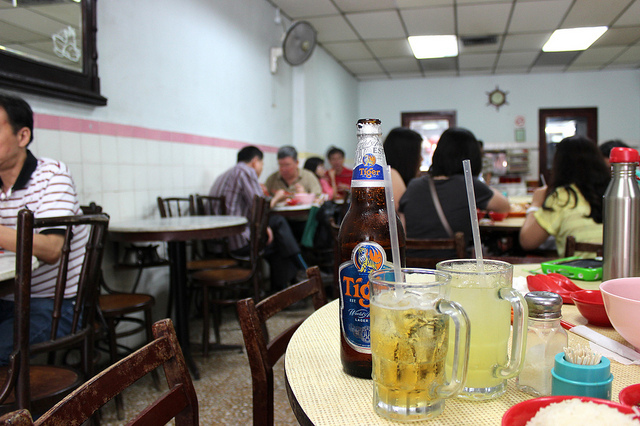 Both beer and lime juice are served over ice to battle the year-round heat and humidity. 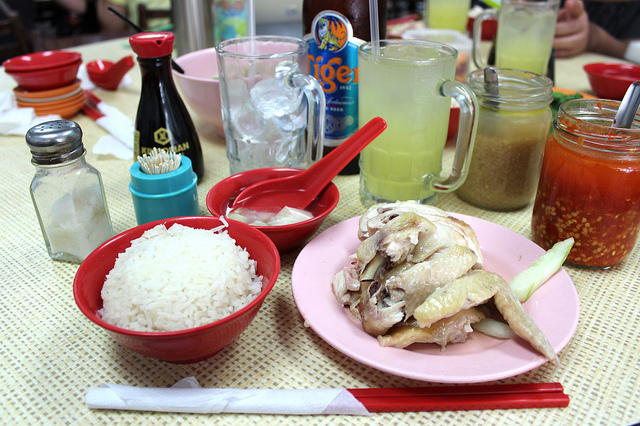 If you get to Singapore, I highly recommend the chicken rice at Yet Con, but get there fast. 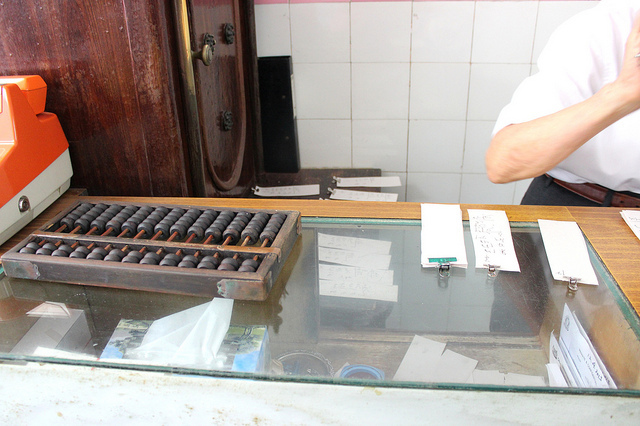 The elderly man working the abacus and hand writing checks is the owner and the last in his family line. Who knows, the restaurant may continue beyond him, as seems the trend in Singapore with a number of former white collar professionals preserving heritage cuisine. A big thanks to the invaluable Singapore food blog ieatishootipost.